Jeff has a performance background as an actor, choreographer, director and producer and a long history of collaboration with luminaries from Adam Rapp to Anne Bogart. He focuses extensively on international collaborations: over the past twenty years he has taught and directed in Australia, England, Japan, Korea, Russia, Vietnam and the US. He is the new Chair and Professor of the Theatre Arts Department at California State University, Long Beach; and Artistic Director of their California Repertory Company (Cal Rep); last year, our department was ranked number 12 among the top 25 BA theatre programsin the US. From 2012 to early 2016 he was Head of Acting at Australia’s leading drama school, the National Institute of Dramatic Art (NIDA) – the only American to run this prestigious program; in 2013, Hollywood Reporter ranked NIDA as number 8among the top 25 theater schools in the world. Graduates include Cate Blanchett, Judy Davis, Hugo Weaving and Baz Luhrmann. In 2013, Hollywood Reporter ranked NIDA as number 8 among the top 25 theatre schools in the world. From 2008-2011, Jeff was Artistic Director of the National Theater Institute (NTI) at the Tony Award-winning Eugene O'Neill Theater Center in Connecticut, America’s preeminent organisation dedicated to the development of new plays and music theatre. From 2004-2008, he was Associate Artistic Director at New York’s Classic Stage Company (CSC) where he directed a range of plays (from Shakespeare to emerging writers), curated a festival of new work, and created their Young Company education and outreach program which connected to 1,000 students in 18 high schools across the city. 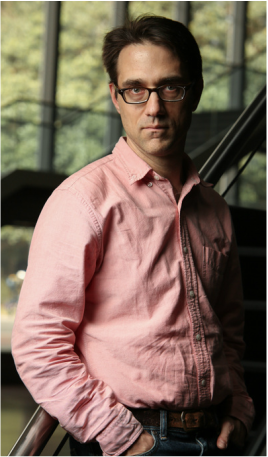 Jeff holds an MFA in Directing from Columbia University, and a BFA from Amherst College. He trained in Japan for over three years with butoh’s co-creator Kazuo Ohno. He co-founded and co-directed the biennial New York International Butoh Festival; from 2003-2007 he presented the work of over fifty butoh-inspired artists from Europe, Japan, South America and the US. He is a recipient of the Theater Communications Group New Generations/Future Leaders fellowship, and the Japan-U.S. Partnership for the Performing Arts/Japan Foundation.